You are here: Home / The 10 Best Face Serums For 2019! If you want beautiful, clear skin, you know using the best face serums is really important. With hundreds of different brands out there with thousands of different ingredient combinations, how can you possibly know which one is right for you? If that’s the issue you’re facing, you’re going to be glad you found this site! Our community of skincare experts continually test, rank, and review just about every face serum on the market today. We’ll tell you which ones we like and which ones we’d avoid. We’ll tell you what’s in them, when and how to use them, any side effects we experienced, how easy they are to use and how much they cost. In a nutshell, we’ll tell you everything you need to know to find the best face serum for your particular skin type! So if you’re looking to get all the anti-aging and skin benefits that face serums provide, this list should point you in the right direction. Review Highlights: When it comes to Kiehl’s Hydro-Plumping Re-Texturizing Serum Concentrate, I’ll cut straight to the chase— I am absolutely obsessed with this face serum. 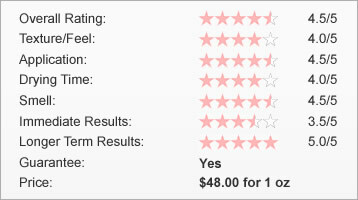 It produces amazing results, works well with other skincare products and is pretty affordable. This is an all-around GREAT face serum! Read the full review here… or click here to go buy it! 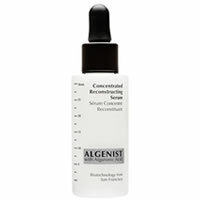 Review Highlights: Algenist Concentrated Reconstructing Serum is one of the first face serums I’ve tried that actually does MORE than it promises! It really did improve my wrinkles, skin tone and even an acne flare-up I as having. Although expensive, this is one of the best face creams out there. Read the full review here… or click here to go buy it! 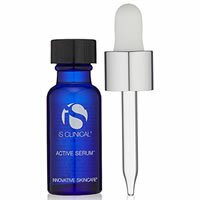 Review Highlights: iS Clinical Active is one of the better face serums I’ve tried. It’s not necessarily the easiest to use or the best smelling. But it just flat out WORKS. My skin looks truly amazing every time I use it. For me, the results are worth the heavy price tag and minor application inconveniences. Read the full review here… or click here to go buy it! 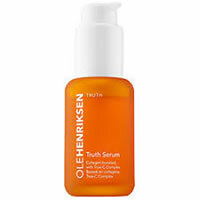 Review Highlights: Ole Henriksen Truth Serum is one of the best face serums on the market today. It applies pretty easily and smells delicious. Most importantly, we saw really good results after using this for awhile. It’s a tad pricey at $48 per ounce, but overall, this a great face serum! Read the full review here… or click here to go buy it! 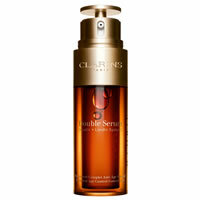 Review Highlights: While extremely expensive, Clarins Double Serum is a pretty effective face serum. It has ingredients that supposedly target a number of different skin issues, and it actually did make my skin look and feel great over time. If it was a bit more reasonably priced, Double Serum would be a no-brainer. But at $122 an ounce, it’s really only for those who love the Clarins brand and have some serious discretionary income! Read the full review here… or click here to go buy it! 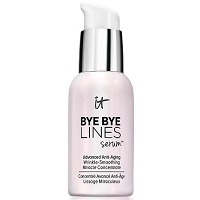 Review Highlights: it Cosmetics Bye Bye Lines is a unique face serum in that it can replace your moisturizer. I wasn’t sure about that until I tried it. And while it may be a bit thick, it actually does work as a “double” product. In the end, this gave me good results, smells nice and is more reasonably priced if you use it instead of a moisturizer. Read the full review here… or click here to go buy it! 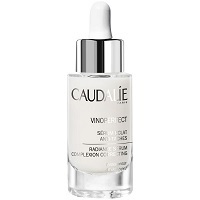 Review Highlights: We’re all looking for that natural glow, and with Caudalíe Vinoperfect Radiance Serum, you absolutely achieve that. As a milky serum, this gives off a very natural feeling to it. In fact, it’s one of the easier face serums to use I’ve tried. While it’s not very hydrating, it does a good job with fading sun spots and evening out skin tone. Overall, this is a good face serum. Read the full review here… or click here to go buy it! 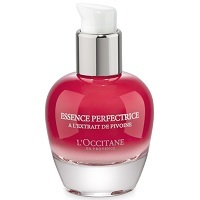 Review Highlights: If you’re looking for a face serum that completely evens out your skin tone and texture and helps minimize those pesky pores, then L’Occitane Peony Perfecting Essence is a great choice. It isn’t perfect as application is a bit difficult and it takes longer to dry than most serums, but overall it works pretty well. Read the full review here… or click here to go buy it! 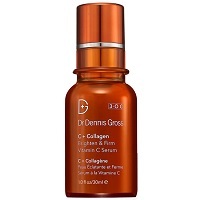 Review Highlights: If you’re looking for a Vitamin C serum that can improve your appearance, and you’re willing to put up with a few quirky elements to the serum, then Dr Dennis Gross Vitamin C Serum is definitely worth the money. While I didn’t like the smell (at all) and the thick tecture, I did like some of the results I saw. Read the full review here… or click here to go buy it! 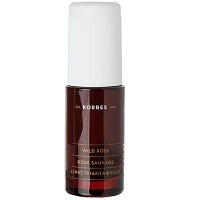 Review Highlights: I really like Korres Wild Rose Brightening Serum. The noticeable results, partnered with how easy it is to incorporate it into your daily routine, makes this a great option to change up your complexion. In addition, the price is reasonable for a higher-end serum. Read the full review here… or click here to go buy it!